If you’ve never been to a wax museum they are a pretty cool adventure. We have visited several, including Madame Tussauds in Las Vegas. We haven’t taken the kids yet, and I’m super excited to experience it with them. How do you explain, I mean really explain that to a five and seven year old. Explaining it to Phillip obviously isn’t going to happen; and if our experience with the Easter Bunny is any indication it might not go super well. 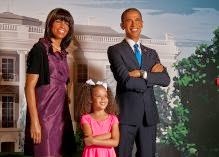 If you are visiting Washington, DC or call this area your home Madame Tussads is a fun little check mark to make on your way to completing your DC experience. For those that call the DC Metro area your home did you know that MT’s does birthday parties?! Say what?! You can help your child celebrate their birthday with their favorite celebrities, like Justin Bieber and Selena Gomez? How about The Rock or Beyonce. 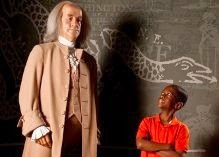 Book their next birthday party at Madame Tussauds Washington, D.C.! With three all-inclusive packages to choose from, we’ll help your child celebrate like never before. Whether you’re child wants a red carpet affair, the presidential treatment, or the whole ball of wax, we’ve got the perfect party package just for them! Right now I also have a special little deal for you all!! I received free items as compensation for this post. It is written in partnership with USFamilyGuide.com.